Limited white vinyl in a clear plastic sleeve with sticker. Only available at our webshop! Max. 3 copies per order, please. 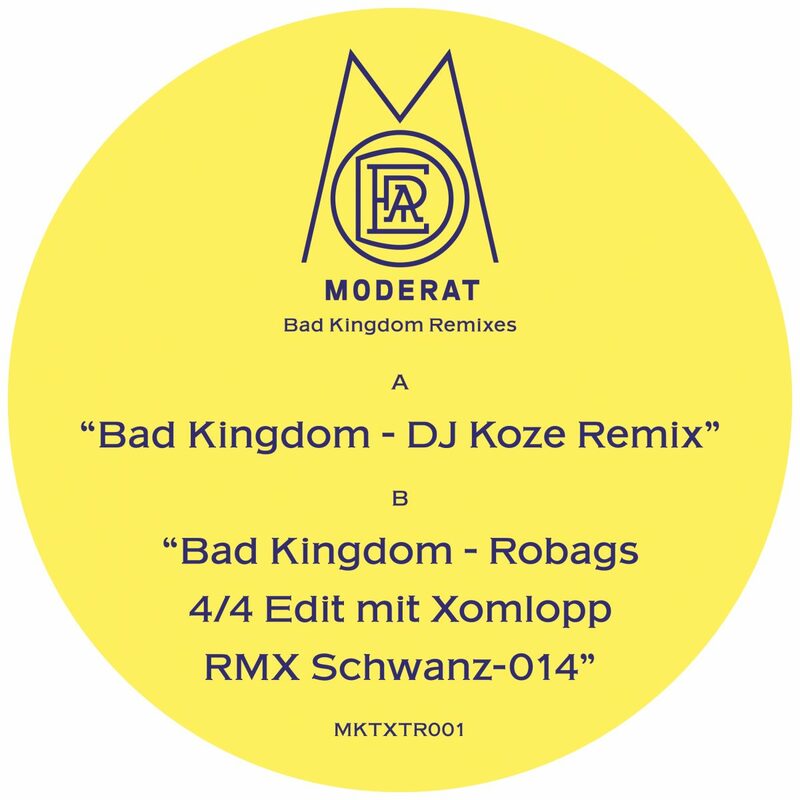 After remixes by Marcel Dettmann and Head High it’s now DJ Koze who adds his artistic touch to Moderat’s “Bad Kingdom”. B side is Robag Wruhme’s “4/4 Edit mit Xomlopp RMX Schwanz-014” which has already been featured in a shorter version on Moderat’s Tour Edition. Both versions are 100% sing-along dancefloor material. The single will only be availabe as a limited white vinyl at our webshop and as in digital form at all regular download stores.